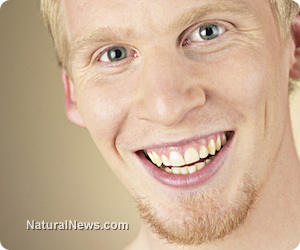 (NaturalNews) Skin problems like acne can affect almost everyone. This is most prevalent among adolescents because of their fluctuating hormones. Acne can develop not only on the face but also on the scalp, chest and back. This usually occurs due to lack of sleep, stress, diet and a busy schedule on a daily basis. Even if there is no absolute cure for this skin problem at this time, there are a lot of simple and natural remedies that can be made at home to prevent or diminish the effects of acne. Lots of studies have been done to determine effective methods that can help prevent acne. Natural treatments have been known to be fail-safe and good for the skin. They protect the pores of the skin from substances that can harm the skin. Presented here are easy-to-do skin care solutions approved by experts that can be prepared at home to prevent pimples and keep the skin healthy. 1. Herbal tea made from rooibos, a legume plant that looks like a broom. Many skin specialists found beneficial effects of rooibos tea for the skin. This homemade tea that can get rid of acne is easy to prepare. Immerse a bag of this herbal tea in one cup of hot water until it turns brownish in color. Similar to the application of an exfoliator, simply rub the tea bag on the pores of the skin. Wash off the treatment after ten minutes. For fast result, apply the treatment at least three times a week. 2. Mint leaves and turmeric powder mixture are antioxidant components that can help clear up pimpled skin. Get the juice of some mint leaves and combine this liquid with a teaspoon of turmeric powder. Spread this on the pimpled areas and let the treatment stay on for fifteen minutes. Rinse it off with tepid water. 3. Cayenne extract with garlic oil treatment is an organic treatment used to cleanse and condition the skin. In this mixture, use two tablespoons of cayenne extract combined with two tablespoons of garlic oil. Spread this on the areas of the skin with acne and leave it on for five minutes. Rinse it off with water. 4. Cabbage and witch hazel herbal remedy is great for acne problems. To make this natural paste, mix some cabbage leaves with a small amount of witch hazel. The latter is known to be a natural astringent. Use a blender and strain to make paste. Add in a teaspoon of lemon juice. Spread the paste on the affected spots using a cotton ball. Leave it on for fifteen minutes. Wash it off with tepid water. 5. Coriander juice with turmeric powder is excellent in eradicating stubborn acne that can also be painful. To make this soothing natural treatment, mix together one tablespoon of coriander juice with a small amount of turmeric powder. Spread the paste on areas of the skin with pimples and let it stay on for fifteen minutes. Wash it off with water to cleanse the skin. 6. Rose water is great for cleansing the skin, particularly on the face. This skin cleansing regimen can help increase the healing effect that naturally occurs through the skin and rid the skin of dirt and excess oils. Rose water can be used two to three times a day to wash the face. These are only a few of the quick and inexpensive natural home remedies for acne treatment. Achieving healthy and acne-free skin is not difficult if you know how. Sofiya has written articles on most health-related topics, including traditional medicine, alternative and naturopathic and natural treatments,health insurance, wellness, medical marijuana, diets and fitness.